Just wanted to write a quick update. Friday we had a family visit from one of our most favoritest families! 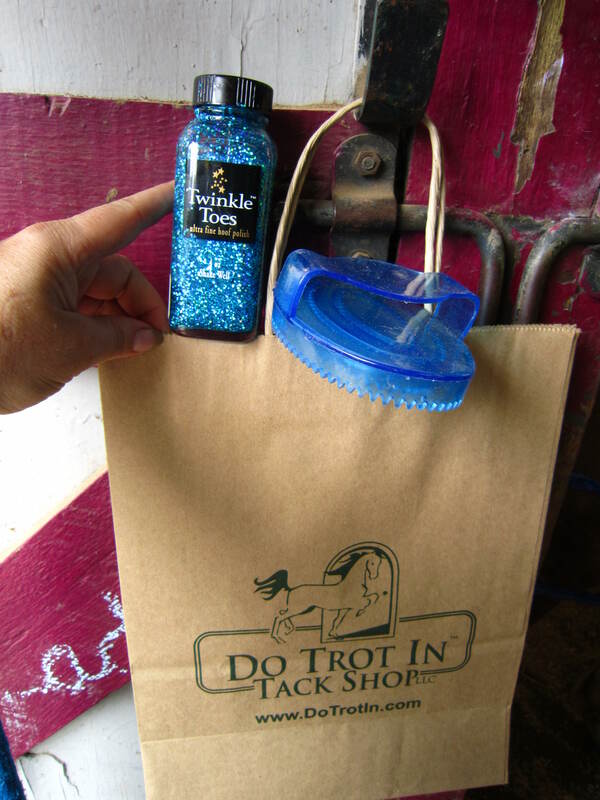 They came bearing gifts of a case of spring water, a bag of carrots and a new rubber sparkly curry brush and royal blue Twinkle Toes hoof polish for Lady Pony! Then when we arrived home later that afternoon, there was a heavy-ish package awaiting us. We feel so very blessed and grateful to all of our wonderful families and supporters! We thank and love you all to pieces! x0x0x0 We could NOT do what we do without you! 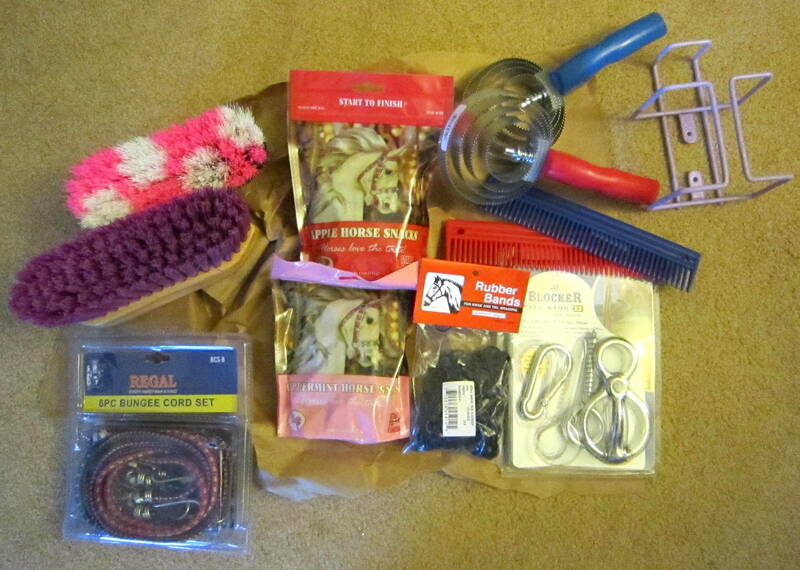 This entry was posted in Christian Ministry, Horse Training / Safety, Horses and tagged Christian, Family, Gifts, Grateful, Horse, Kids, Love, Ministry, Pony, Thankful, Wish List. Bookmark the permalink. It was wonderful to visit your new home yesterday, and see how your hard work is leading your wonderful family onward. Like the seeds in Aubrey’s blog, I hope you’ve found the place to really grow! Thank you so very much Mr. Hopwood! It was so wonderful to take our time and have a chance to chat yesterday! 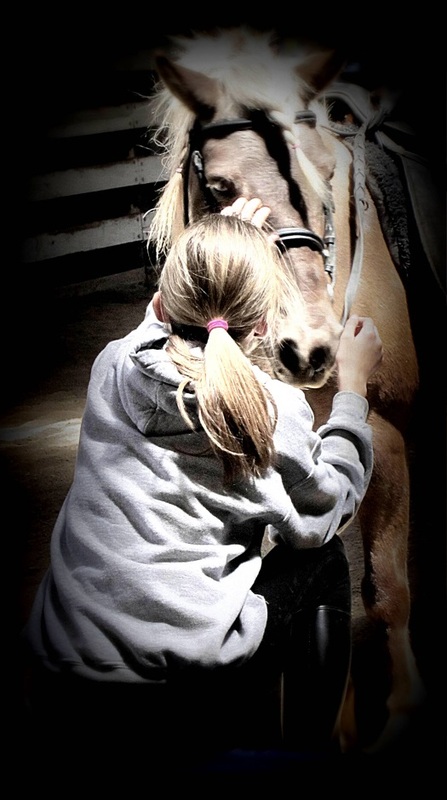 We love having you as our farrier! And yes! We are hoping the very same. That this is indeed where God has planted us to grow for however long He has until we can get our own land and expand the ministry. 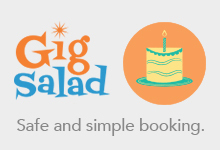 Thanks so much for reading our little blog and leaving such a kind comment!